Hello! I hope everyone had a great weekend! Mine was a lot of fun, but tomorrow I have to go back to work... boo! 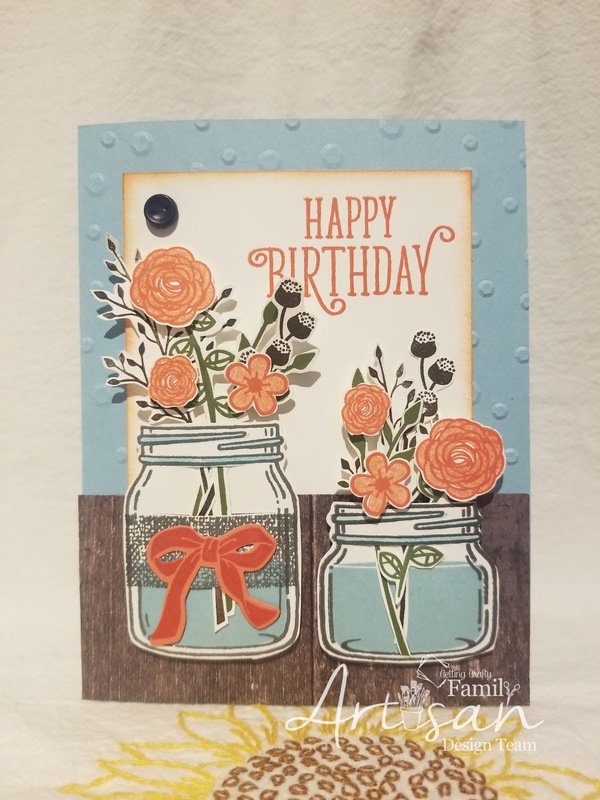 Today, I have created jars of flowers using stamps from two different sets. What I love about Stampin' Up! is how we are able to mix and match sets to coordinate and make the perfect card. Tip: to make the flowers appear they are IN the jar, I used my scissors to cut a slit under the lip of the jar and on either side of the belly band and weaved the stems in to appear they are going behind. It turned out really great and also gave me the ability to do some flower arranging. It worked great! ...And the jars are sitting on a wood tabletop.